50 years ago, the campaign for Leeds to have its own Playhouse was heard before a public meeting held at the Leeds Town Hall. 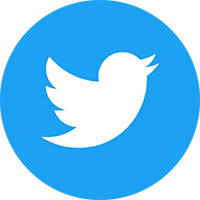 Today, West Yorkshire Playhouse stands as one of the leading producing houses in the country. This significant moment in 1968 saw campaigner Doreen Newlyn at Leeds Town Hall claim Leeds needed a professional repertory theatre. Supported by Leeds born Hollywood legend Peter O’Toole, Hunslet-born Keith Waterhouse and, then Artistic Director of Nottingham Playhouse, John Neville, the group protested to the people of Leeds ‘a city without a theatre is a city without a heart’. 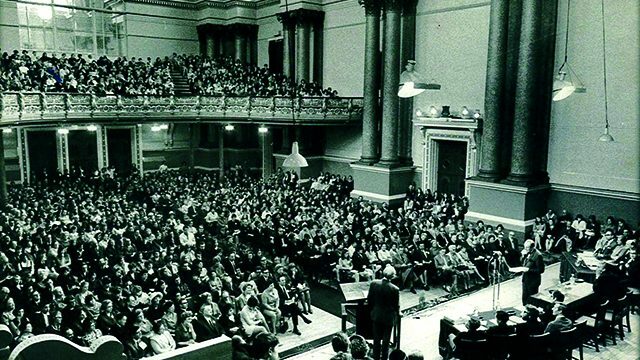 50 years ago: The Playhouse meeting at Leeds Town Hall. Credit: WY Playhouse. This 50 year landmark moment marks a pivotal turning point in the Playhouse’s history. 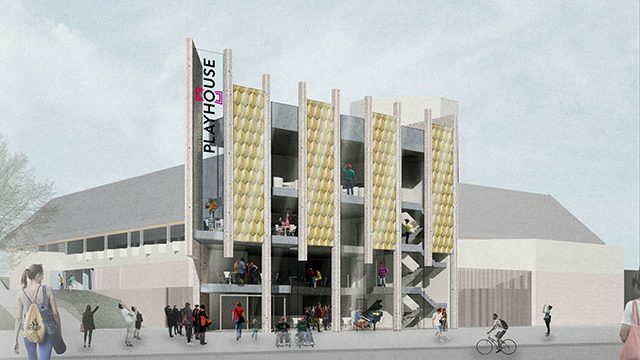 From July 2018 West Yorkshire Playhouse will embark on a major redevelopment project, with the current building on the Quarry Hill site being transformed and modernised, with changes including a new city-facing entrance, improved access in and around the theatre, and the addition of a new studio theatre space, the Bramall Rock Void. Find out more about the Playhouse’s vibrant summer season at wyp.org.uk. Book online at wyp.org.uk or call the Box Office on 0113 213 7700.